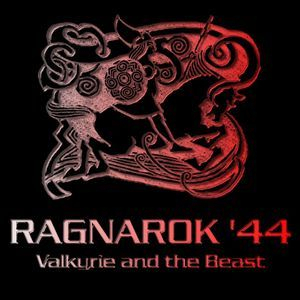 This is the base mod that all Ragnarok'44 missions require, the mod itself adds nothing, and does nothing to the game, as its designed for and only works with the Ragnarok'44 missions. This is the manual that provides all information on how to play the Ragnarok'44 missions, how the functions and the controls in the mission. Your task here is to take enemy base. To do so you'll recruit troops, build and defend your own base, capture strategic points and assault on the AI opponent base to win the game. (no any unfair advantages over player) except for the player's ability to place sandbag walls. Rydygier and myself have been working on this since start of August 2013. Initially I asked Rydygier if he would be interested in converting Mondkalb's WOO for Iron front and make it a sp mission where you can fight against the AI, he loved the idea and i set out and pm'd Mondkalb on BIS forums asking permission if we could convert/port the mission to Iron front, I had to explain about the conversion and so forth. The name of the mission didn't come about til we completed the mission. Almost everyday we shared ideas and tested what Rydygier and I worked on, I give Rydygier most of the credit as I tested, reworded things based on proper English usage, and given some ideas on alot of the features of the mission, but he mostly rebuilt the whole mission from ground up, adding sounds, icons, new functionality ect,. pretty amazing stuff!! Now player incarnates as group leader when he gets into a tank and will be in the tank commander's seat, not driver's and can swap positions in the tank as usual can be done. (when was a driver in 1.14, I couldn't change seat in the Tiger for example). Found and fixed error with heavy/very heavy tank allocations (AI was affected too - mistakes in function names). Now, when you buy in Logistics HT/VHT allocation, go to the tank factory, additional tank button(s) should be visible now for Tiger (HT) and/or King Tiger (very HT). Driver's seat is unlocked now again, as this method to keep player inside failed anyway, and clicking on the vehicle should make you group leader instead of driver (if driver was a group leader, nothing changes). Still "not disembark the crew" iron rule is valid. Pity, thatyou canot change seat in the tank without disembarking, this spoils the only hope to swap role in the tank. Stay inside or do what you want on own risk. Simple typo in trimming code, that breaks whole AI - all objectives are stored at the same flagpole now fixed. chosen icon, example if you have mg squad and AT squad in opel blitz, and you click on the mgsquad and press disembark, they will disembark instead of who entered the truck first. locked whole vehicle if abandoned, thus assigned for deletion by Gravedigger function. Reorganized the folder structure of the missions and files required for the mission, now all you need to do is move the @Ragnarok mod to your Arma2 directory, and put the mission in the missions folder, also included is a changelog.